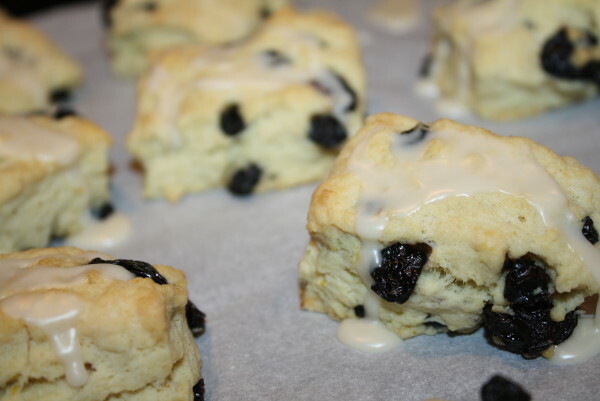 Looking for a simple and delicious scone recipe? Well,this is your lucky day. 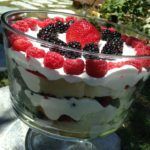 You will love the simplicity of this recipe. 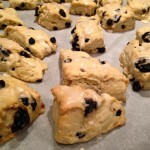 You will want to double this recipe if you want 4 dozen scones. If using creamed butter, don't add in the salt. 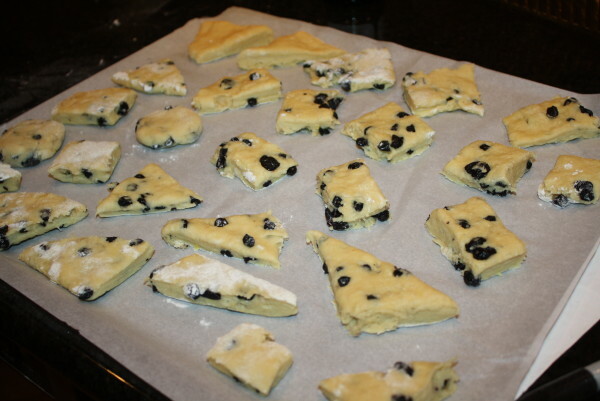 Preheat the oven to 400 degrees and line one baking sheet with parchment paper. 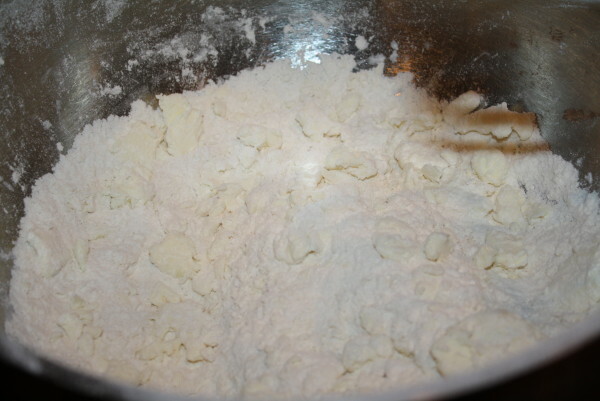 Put the dry ingredients in a bowl and stir together. 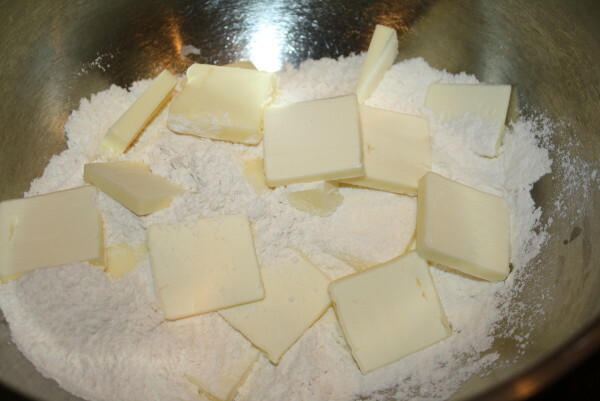 Add the diced butter and beat on low speed with a hand mixer. Mix until the butter is in pea sized pieces. 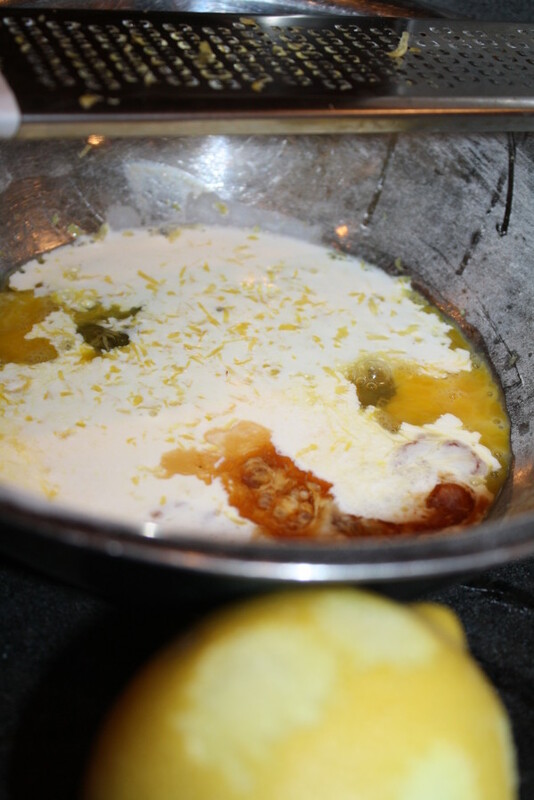 Combine the cream, lemon zest, vanilla, and eggs in a measuring cup and pour into the flour mixture. Combine until blended. 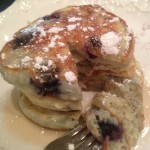 Toss the dried blueberries with 1/2 Tablespoon of flour. 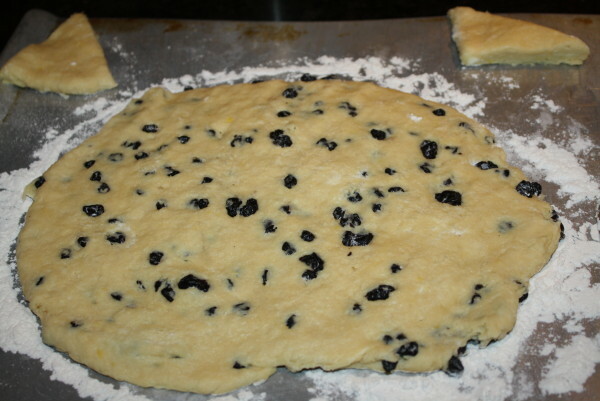 This helps the berries spread evenly throughout the dough. Add to the mixture and combine. I left blueberries out of a couple of the scones for people that don't care for blueberries. This is optional. 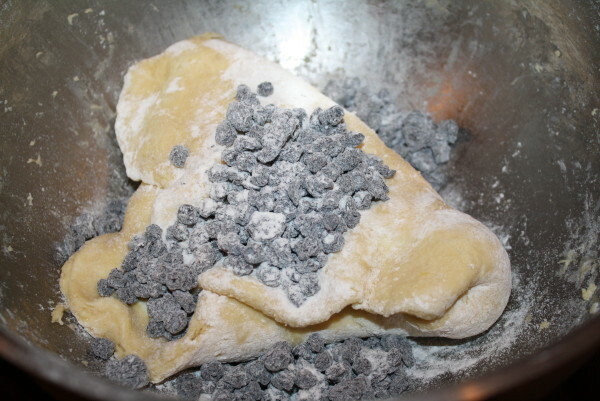 Turn the dough out onto a flour surface. This is sticky dough. Roll out to the desired thickness. 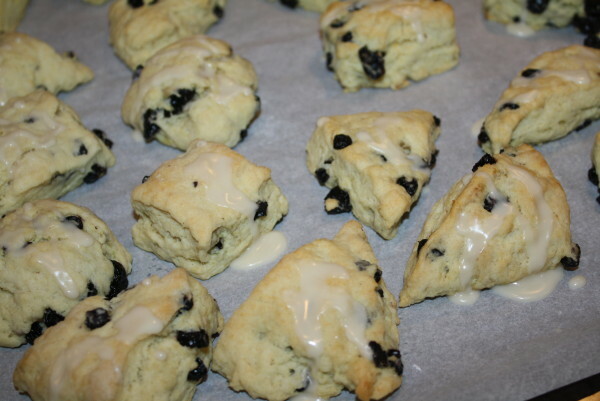 Use a knife or cookie cutter to make the scones into shapes. I used a knife making triangles and squares. 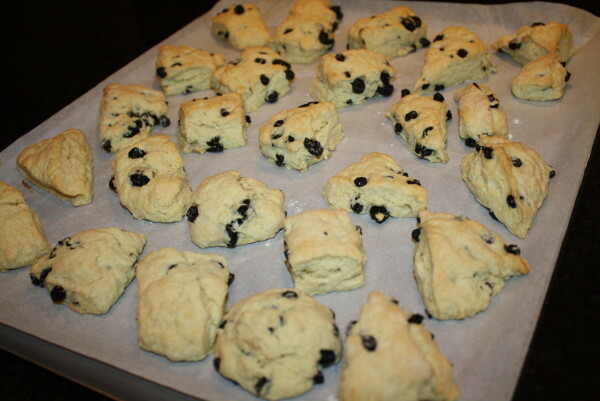 Place the scones onto the parchment lined cookie sheet and bake for 15-22 minutes. Keep an eye on them because you might want them flaky or lightly browned with a crunch. I baked these for roughly 16 minutes. They were nice and flaky. Not like a typical hard scone. 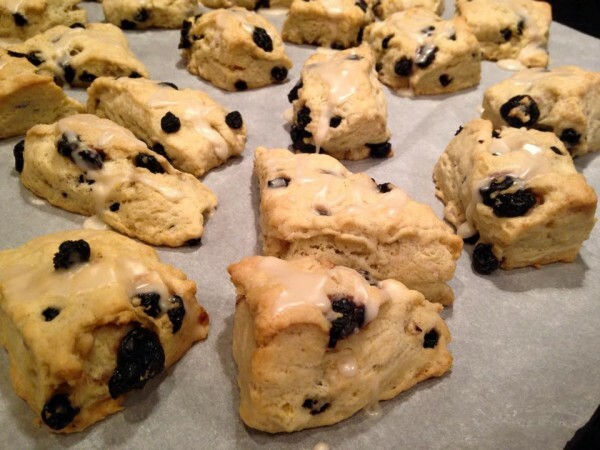 Bake them longer for a crunchy harder scone. Let them cool completely before you add the glaze. 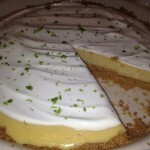 To make the glaze, whisk the powdered sugar with the lemon juice and vanilla until smooth. 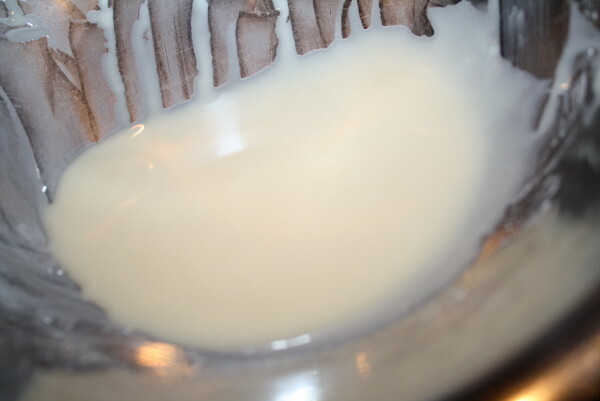 Add more powdered sugar or whipping cream to get the glaze thicker. Glaze the scones. 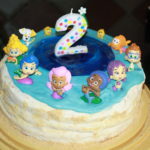 You can use a spoon to drizzle them, a piping bag, or pour into a Ziploc bag and cup a tiny piece off the corner of the bag to make your own piping bag. Share these with your loved ones. Nom nom nom!